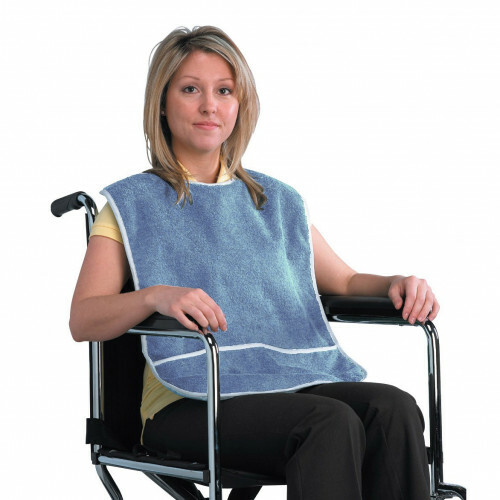 Terry Cloth Crumb Catcher Bib is a Clothing Protector for individuals with disabilities caused by age or handicap. 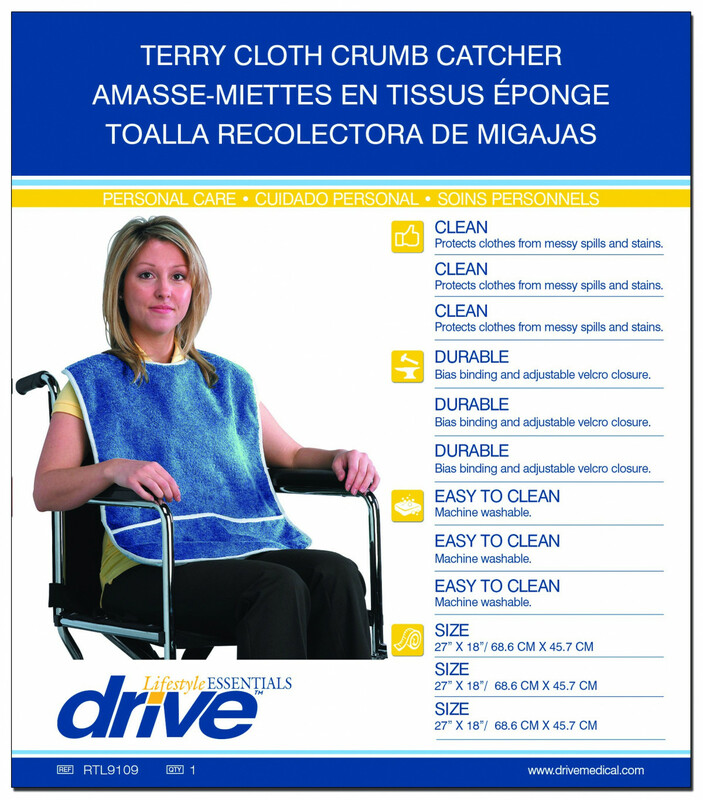 This Terry Cloth Bib is manufactured by Drive Medical for use at home or hospital. Designed with a pocket to catch crumbs, the Terry Cloth Bib has a water repellant liner to protect clothing from liquid spills. The Terry Cloth construction is more comfortable to the patient. An adjustable Velcro® closure secures the Terry Cloth Crumb Catcher Bib to the patient. Adjustable Velcro® closure is easy to use for individuals with loss of dexterity. Lower pocket protects clothing by catching crumbs. Terry Cloth Crumb Catcher Bib Warranty: 6 month limited.